This iconic Irish Claddagh ring is a token of friendship (the hands), love (the heart) and fidelity (the crown). Originating from Claddagh, a fishermen's village in County Galway, West Ireland, the Claddagh ring was an engagement or marriage ring. Today, it is still related to love but it is also a token of friendship. 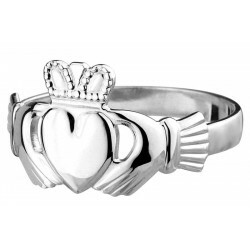 Many wear the Claddagh as a symbol of cultural identity. An old story goes that master goldsmith Richard Joyce, who lived in the village 400 years ago, was captured and enslaved by pirates. He managed to escape and back home, he created the Claddagh symbol - a heart huddled into the hands of friendship and crowned with an oath of fidelity. 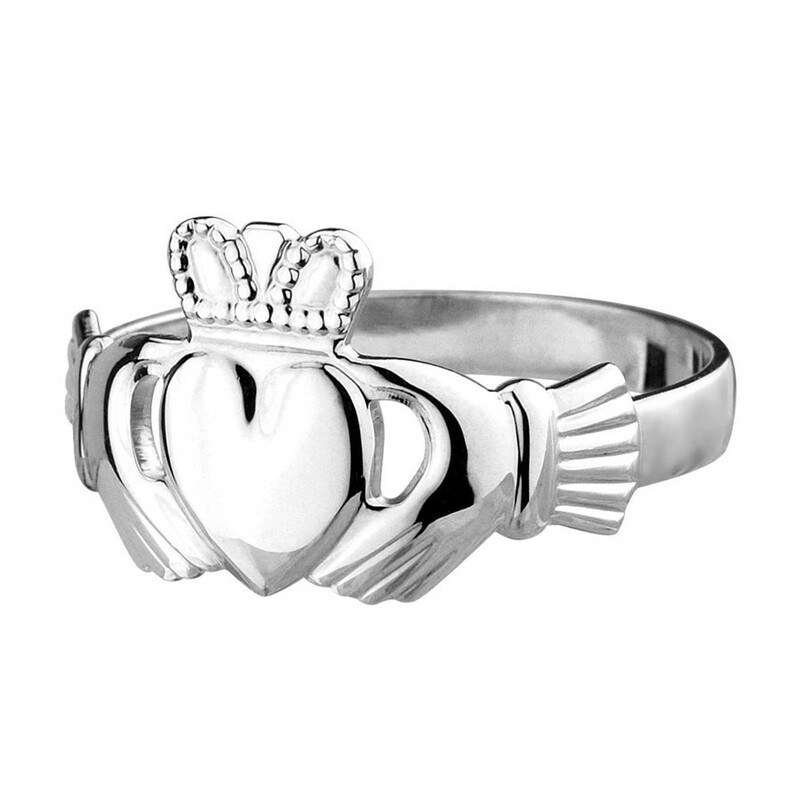 The years passed and the feelings never fade away, Claddagh is still a symbol of forever linked love and friendship. 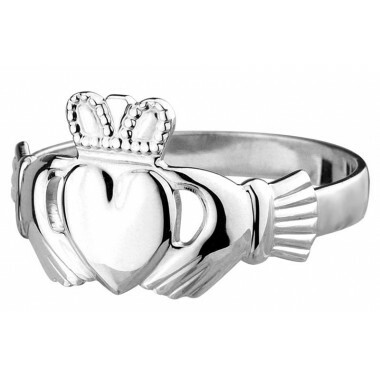 There are many ways to wear your Claddagh: worn on the right hand, crown facing inside, your heart is free. Worn on the right hand but crown facing outside, a beautiful love story started. But on the left hand, crown facing outside, your love is sealed. Please refer to our ring size guide under the Size tab. 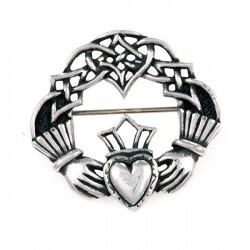 This brooch features the Irish symbol of love and friendship, the Claddagh. The origins of this design traditionally worn as a ring is surrounded by legends. 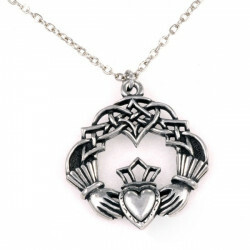 Beautiful tin pendant with an Irish Claddagh symbol.